The Gut Authority professionals are here to help you begin a healthy journey. If you are suffering from abnormal stomach problems, then we can help! We are only a phone call away from to get you started on your journey to better health. Our team specializes in abnormal stomach conditions. You do not have to keep suffering alone without anyone to guide you. Our team is here just so that you can have some peace of mind about your health. Are you struggling with some of these health conditions listed below? Each one of these conditions takes a different approach to getting well. We also know that each person also needs a different approach and that is why we create unique care plans just for you. Our team of professionals can help you with your stomach conditions if you are in the Spanish Fort area. 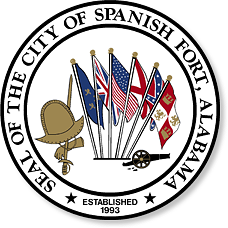 Spanish Fort City is located in Baldwin County, Alabama. It is also located near the eastern shore of Mobile Bay. We have a few gyms that you can join if you are looking to get more exercise, but we have the best free gym available. The ocean serves as a great place to get exercise and you also get a gorgeous view. The Gut Authority professionals are here in Spanish Fort and the surrounding area so that they can take good care of you. If you are having stomach problems, then please call us. We look forward to hearing from you.